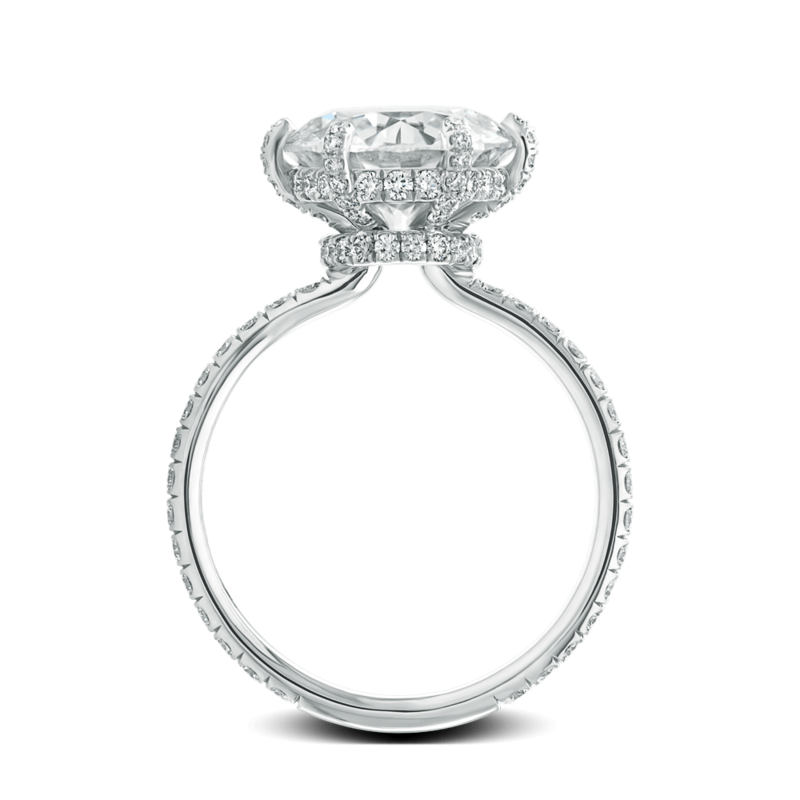 Showcasing a stunning 3 carat round-diamond Attraction is a true testament of love. This sophisticated design is conceived with unique taste in mind. 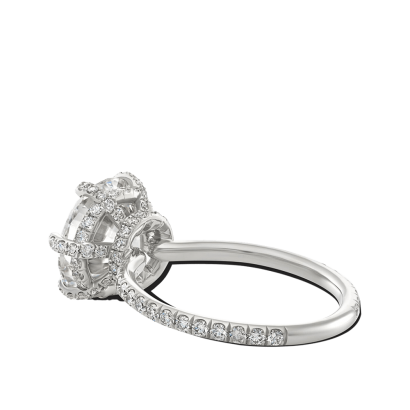 Hand forged basket consists of six dazzling pave diamond prongs that wrap around delicate shank adorned with cut down pave. 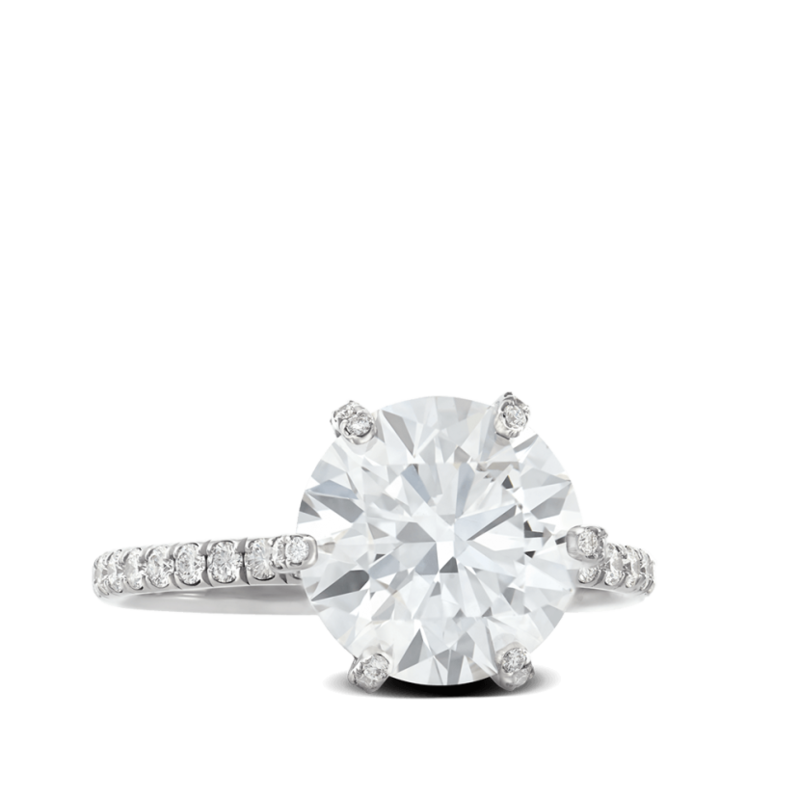 Available for center stones 1.5 ct +. Design may be customized for your heirloom diamond. Our years of experience will help you pair the most beautiful diamond with the most elegant Steven Kirsch setting.